Cooper Dunaway is the son of a world-class stud. We bought him before my graduation from UGA when he was a button-eyed puppy resembling the Snuggle detergent bear, as all retrievers do at that age. As he started getting his land legs, he would race around in figure-eights, dash through scrub, bolting like an eager yellow streak, clearing fences, and diving off docks with his paws out and tongue flailing, still with those pollyannaish little button eyes of his. He was trained at Dogstar in Hoschton, GA and had all the sharp wits of his fox cousins. Then in the full flower of brawn his frame gave way to enormous paws, a boxy head, a flared chest, and a regal mane rare in but the cream of such specimens. On walks he strode distinguished in a merry prance through the neighborhood, his fawning realm of happy subjects all knew their emperor by name and smiled as he gaily went. Good and true, there is no friend like a dog. One midrashic source suggests that the Mark of Cain was actually a dog, which the L-rd gave to protect the first G-d-fugitive in his errant wanderings. For Jack London, the dog was the hero’s guide as he grappled with Nature, bridging the primal connection between us and It. 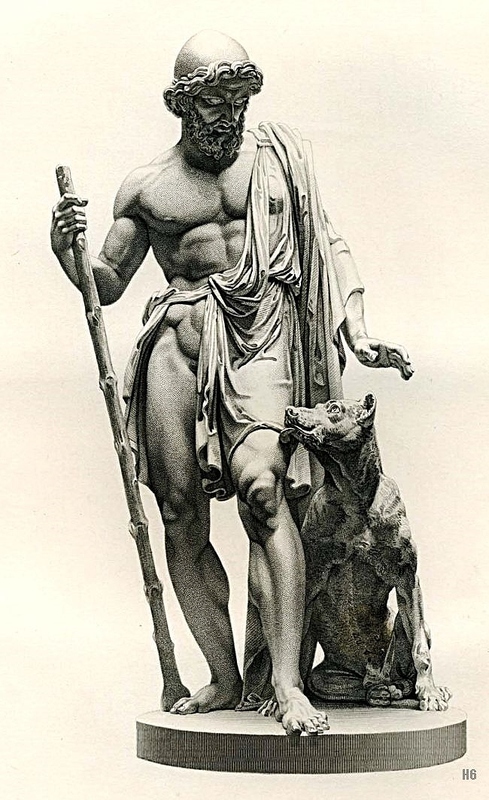 When Odysseus returned to his home in Ithaka, his dog Argos whom he had left when but a puppy to fight at Troy, looked up from a dungheap with a champion body wasted by time, old but ever watchful. He recognized his long-lost master, wagged his tail, and died in peace as Odysseus went to slay the abusive suitors with a newly kindled vengeance. A hunter and his dog spangle the deer paths of the Milky Way together, a friendship written in the stars since the dawn of time. Perhaps in such companions we spectate our own lives in miniature, making it all the more rending when they finally go. Avast. I will speak no more of dogs and men. My father and I carried the little bear into the vet’s office, a cute painted cottage on the edge of town. The veterinarian who walked in was the selfsame man who had inspected a young puppy with the same name years back. Barely able to walk, Cooper was laid down on a cozy mat on the floor where he waited calmly while the humans talked. I distinctly recall that every time we mentioned his name or approached the tired old dog, his tail would eagerly beat in his hallmark winsome cheer as best it could in spite of all of his pain. Good L-rd, that made it sting all the more. My father and I broke down while Cooper the Dog never batted an eye. I stroked his back and my father cradled his head and spoke reassuringly to him that everything would be fine. Cooper never fought the hands that helped him. 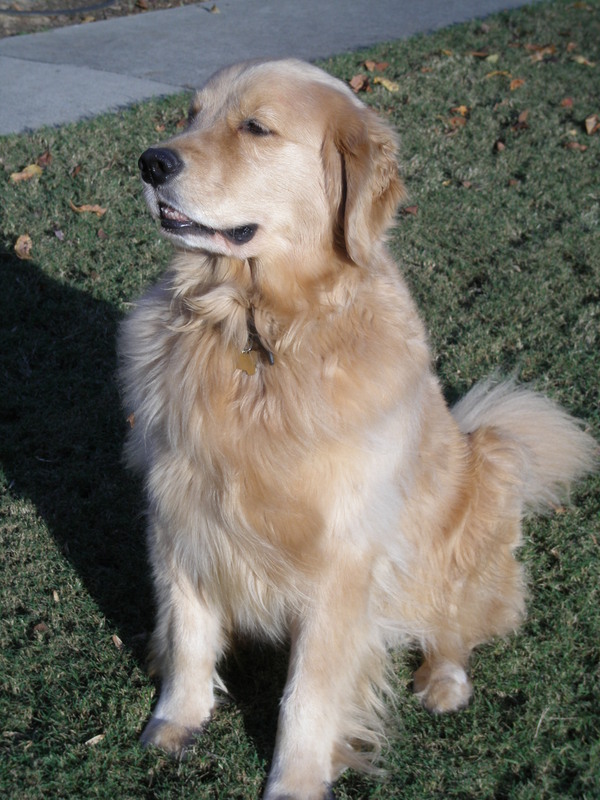 Every time my father administered medicine, plucked a tick, or groomed his hair, Cooper would patiently know to stand stock still, even through discomfort. Knowing what to fear and what not to, we never had to train him for that sort of calm. 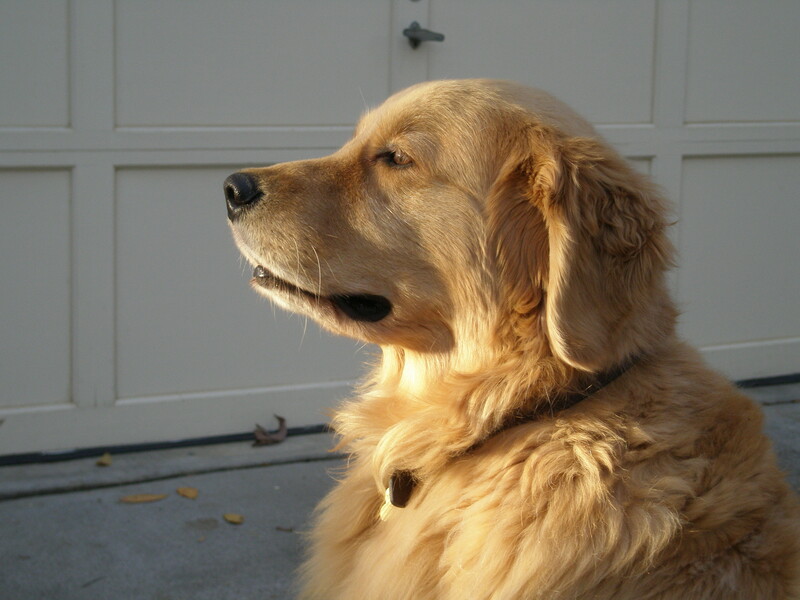 Like all dogs of good husbandry, he fell easily into barking vehemently at everything amiss, and yet trusting with perfect faith the hands of those he loved. It was a lifelong measure of equanimity unfound in many canines and humans, which dares that everything – everything truly – will be alright in the end. Especially if my master says so. No apprehension, struggle, pain, nor fear. CS Lewis once speculated (and I’m definitely paraphrasing here) that just as we receive the Spirit from our Master, so our beloved pets receive something akin to that from us, so that while the random squirrels in the woods may not be in the World to Come, those who are joined to the Sons of God will be.